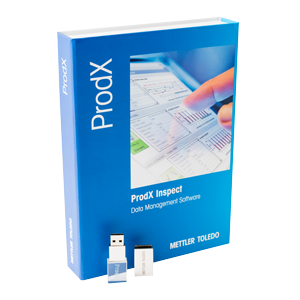 Product inspection solutions from METTLER TOLEDO safeguard the quality and integrity of your products, inside and out. As part of a truly global business we draw on a wealth of industry experience gained by working in genuine partnership with our worldwide customers. We are dedicated to serving the needs of our customers during the full life-time of their equipment. Our range of product inspection solutions includes sophisticated metal contaminant detectors, highly accurate dynamic checkweighers, cutting-edge x-ray technology and state-of-the-art machine vision systems. Our outstanding global service excellence completes our global portfolio. Each solution we offer has come about as a result of many years experience gained working in close partnership with our customers in a wide variety of industries and markets, throughout the globe. We have an in-depth understanding of the challenges faced by manufacturers, and over the years have responded to the diverse requirements of our customers by developing a product portfolio that is second to none. Ensure brand and consumer protection by using the most advanced technologies. Uphold quality to comply industry legislation and codes of practice. Our solutions benefit your business, protect your reputation and help you maintain your competitive advantage. Product Inspection solutions, built to suit your specific applications and environment, as well as your regulatory and industry requirements. 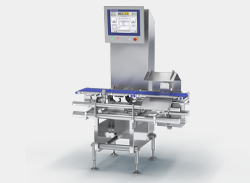 Deliver productivity, product quality and profitability via the most comprehensive line of checkweighers for the food, beverage, pharmaceutical, chemical and non-food industries. A wide range of sizes and configurations are available to handle nearly any container type or package design, even at high production rates, to ensure accurate product delivery, reduced giveaway, and optimized production processes. Inspect products and product quality in all formats, from packaged conveyorised food products and bulk powder or granular materials through to liquids, pastes and slurries. Metal detection product inspection systems can be utilised to provide compliance with food safety inspection standards, industry guidance and legislation. 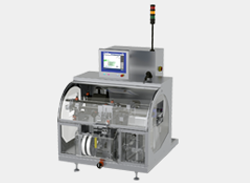 Safeline pharmaceutical metal detectors provide self-contained inspection systems for use with all tablets, capsules and pharmaceutical powders. These product inspection systems ensure compliance with regulatory requirements, validation and qualification of procedures. 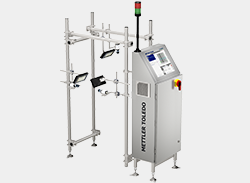 Provider of contamination detection and quality control product inspection equipment. Food, beverage and pharmaceutical manufacturers worldwide rely on in-line x-ray inspection systems to protect the welfare of consumers and safeguard brand reputations, minimise the risk of expensive product recalls and help with regulatory compliance. 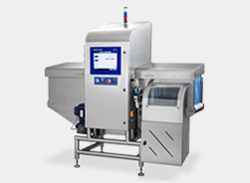 Safeline x-ray product inspection machines offer safety and quality assurance at every stage of the production process for raw, bulk-flow (loose), pumped and packaged products. Neither foil nor metallised film packaging affect the sensitivity of contaminant detection by x-ray. Designed from the ground up to as product inspection systems to inspect product label quality across all market segments and packaging types, with the flexibility to perform additional formation and integrity checks on packaging should manufacturers require them. Machine vision systems perform accurate label and package quality inspections on plastic containers, glass bottles, jars, screw or snap-on caps, flat packages, cartons and pill packs. These product inspection systems operate at high speeds, allowing manufacturers to maintain throughput without compromising label and package quality. Intelligent optical control product inspection systems for maximum process reliability. Reliable and fast code-reading technology, coupled with the latest integrated camera controls (tailored to the specific requirements of the pharmaceutical packaging industry), ensure the smooth execution of packaging quality control procedures. Central line and data management software modules are also key components in this process. As a result, ease of use and seamless integration into the packaging process are assured. How will Product Inspection Help? For further information, you should contact us today and speak to a member of our team. We understand that it's vital the product reaching the consumer is exactly what it should be – no more, no less, correct, complete and safe, inside and out. Our systems provide inline product inspection solutions for the processing and packaging of wet, dry, fresh and frozen food in all sectors, and help your business comply with industry legislation and codes of practice including IFS, BRC, SQF and FSSC 22000 standards. From in-process to end-of-line applications, we can help you achieve the highest product quality and integrity, with the efficient and safe removal of contaminated, underweight or overweight, incomplete or damaged products. Our offering is further enhanced by innovative serialization capabilities which are the cornerstone for all Track & Trace and anti-counterfeit programmes. Despite the broad range of challenges facing manufacturers, our systems can be tailored to find the right solution. 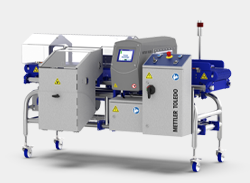 Our advanced inline product inspection systems can be optimized for a wide variety of applications and products – providing total confidence in the inspection, weighing and sorting of bulk liquids, powders or granules through to small and medium-sized packaged consumer goods. The hardest task for any manufacturer is ensuring that their products reach end-users in a safe, usable condition, and in the weight, shape and quantity they are expected to be. Whether inspecting for metal contamination in the textile industry, or determining piece count by weight for manufacturers of plastic, metal or electrical components or products, our solutions can be utilized in a wide range of applications. Product Inspection solutions to solve meat and poultry processing challenges - contamination detection, reducing product waste, packaging integrity and net content weight. Product inspection solutions for packaged foods that make it easier to achieve compliance, increase uptime and reduce quality costs. These free guides provide all the information you need to understand and apply product inspection technologies to enable you to effectively complete all quality and compliance requirements. Each solution we offer has come about as a result of many years experience gained working in close partnership with our customers in a wide variety of industries and markets, throughout the globe.